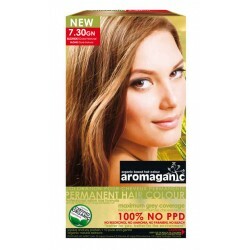 Aromaganic Organic permanent hair colour contains certified organic ingredients that will give you shiny, long-lasting hair colour. Covers grey hair 100%. Please click here to see full range of beautiful colours. 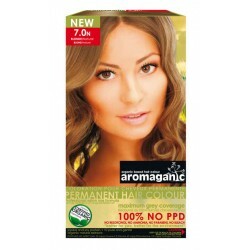 Aromaganic Organic Hair Colour There are 9 products. Cert.Organic Want lustrous, black hair? 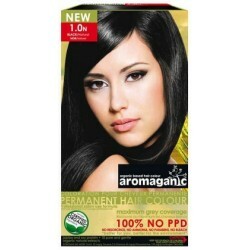 Aromaganic 1.0N Black permanent hair colour contains certified organic ingredients that will give you shiny, long-lasting hair colour. Covers grey hair 100%. Please click here to see full range of beautiful colours. Want to go blonde? 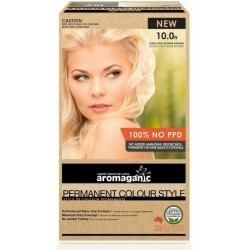 Aromaganic 10.1A Ultra Light Blonde (Ash) permanent hair colour contains certified organic ingredients that will give you shiny, long-lasting hair colour. .Please click here to see full range of beautiful colours. Want to become a brunette? 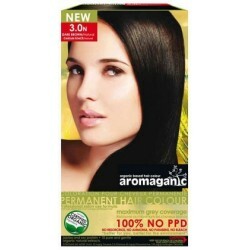 Aromaganic 3.0N Dark Brown (Natural) permanent hair colour contains certified organic ingredients that will give you shiny, long-lasting hair colour. 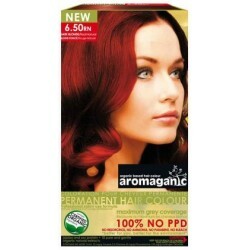 Aromaganic Professional Organic Based Hair Colour Please click here to see full range of beautiful colours. 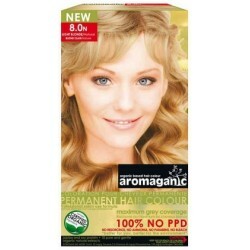 Cert.Organic Want lustrous, light brown hair colour? 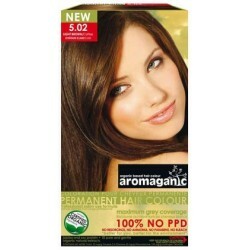 Aromaganic 5.02 permanent hair colour contains certified organic ingredients that will give you shiny, long-lasting hair colour. Covers grey hair 100%. Please click here to see full range of beautiful colours. Want to go blonde? 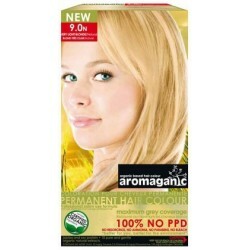 Aromaganic 9.0N Very Light Blond Natural permanent hair colour contains certified organic ingredients that will give you shiny, long-lasting hair colour. .Please click here to see full range of beautiful colours.